Castle Comfort Stairlifts offers top brand stairlifts, keen prices and fast installs for all those seeking stairlifts in Crewe, Cheshire. And all work comes with our no-quibble guarantees and famous customer service satisfaction. Give us a call today on 01782 611 411 If however, you are looking for fascinating facts about the area then feel free to read on. We’re still in Cheshire but we’ve headed south east to Crewe a town with a railway history. Have you been a train spotter in your time? If you are living in Crewe in Cheshire or nearby and in need of some help with mobility, Castle Comfort Stair Lifts will have the answer. 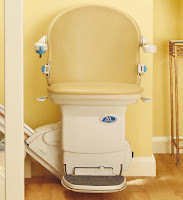 Castle Comfort Stair Lifts don’t just supply stairlifts, they have many other aids which may help. Here in Crewe there is no doubt it is a railway town, perhaps the best known railway junction in the UK and still in operation on the main West Coast line. In fact Crewe was named after the railway works and station rather than vice versa! The railway station at Crewe, one of the most historic, was built in the fields near to Crewe Hall, a Jacobean Mansion, in the 19th Century. At the time the village of Crewe had just 70 residents; Crewe was chosen by default after both Winsford and Nantwich had turned down the proposal for the station to be built by them. Crewe has a direct line to London just 1 hour and 35 minutes away and to other notable towns such as Glasgow and Edinburgh, Chester which we visited recently, Liverpool, Manchester, Birmingham and Stoke on Trent, home of Castle Comfort Stair Lifts, amongst them. Crewe is also the home of Crewe Works, the biggest railway engineering hub where trains are maintained and inspected. At the height of rail transport Crewe Works employed more than 20,000 local people. Now although still a working maintenance hub for electric stock; whilst the diesel maintenance sheds are now used for storing spare rolling stock, less than 1,000 people are now employed by Crewe Works. The Crewe Heritage Centre, houses a railway museum between the main line junction to Chester and the West Coast Main line in part of the Crewe Works. Visitors can operate and look around a signal box and a miniature railway and there are many artefacts for rail enthusiasts to muse over. 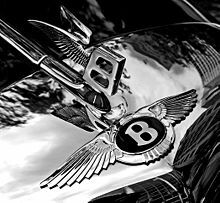 For just over 50 years from 1946 – 2002, Crewe was also the home of Rolls Royce; the factory now produces Bentleys exclusively and employs approximately 3,500 local people. If you’re looking for the Rolls-Royce of stairlifts, Castle Comfort Stair Lifts can help. We are the national agent for all stairlift manufacturers so are in a good position with no bias to recommend the best one for you. Castle Comfort Stair Lifts also supply reconditioned stairlifts if these suit your pocket better and we can also swap your existing stairlift in part-exchange. Get in touch to discuss which is best for you. Please call us on 01782 611 411. Nearby Winsford (11 miles from Crewe) is home to the country’s largest rock salt mine. There are only three places in the UK where rock salt is mined, the other two being Boulby Mine in North Yorkshire and Kilroot in Northern Ireland. Rock salt’s history in this part of England goes back some 220 million years; the deep deposits of rock salt came from dried up salt marshes created by seawater back in the Triassic geological period. Salt mining began here in the 17th century. Nantwich (just 4 miles from Crewe) also has connections with salt which date back to Roman times when salt was used as both a preservative as well as seasoning. In fact the name ‘wich’ or ‘wych’ means brine springs or wells. This town is believed to have been the centre for salt production in the 10th century. Nantwich has a collection of historical buildings only second to Chester. These include the Grade I listed Crown Inn, an old coaching inn. The architecture in Nantwich ranges from Elizabethan, through Georgian to Victorian. Cheshire cheese is one of the oldest recorded cheeses produced in the UK. It has enjoyed a popular history and despite the range of cheeses now available to us in the UK, it remains the largest selling English produced crumbly cheese. It has a mild salty taste – the local rock salt is used in its production. Suffragette Ada Nield Chew wrote a series of letters to the Crewe Chronicle outlining the conditions and pay of women workers in the factories in the town where she worked as a tailor (1894). You might recognise Egghead Chris Hughes who lives in Crewe. Chris a retired train driver is a Mastermind, International Mastermind and Brain of Britain winner who regularly competes in the TV quiz show Eggheads. Chris is also a celebrated Karaoke singer with a four octave range! 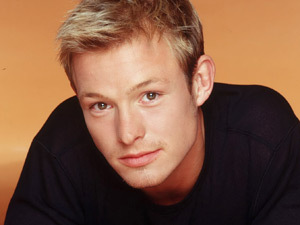 Actor Adam Rickitt former Coronation Street star was born in Crewe; as was Australian Olympic Gold Medallist swimmer Neil Brooks; several sportsman share this honour too: English professional golfer David Gilford, English cricketer John Morris and Ashley Shaw also an English cricketer. We hope you’ve enjoyed your armchair tour of Crewe with its interesting railway history. It’s certainly a colourful part of Cheshire. If you are still considering a stairlift either for yourself or a loved one, by now you’ll know you’re your local Castle Comfort Stair Lifts office will be more than happy to help. If you’ve watched our video and learnt a little more about us and seen our £50 voucher that you can use towards the cost of a stairlift, then you’ll be ready to call us on 01782 611 411. Take a look at our website to compare makes and prices and then give us that call! Didn't Crewe Alesxandra have the longest serving manager ever in football? Dari O'Gradi. He was there so long with the Cheshire club he may have had a couple of stairlifts presented to him when he left! Stairlifts and train fans may find this interesting - go to Churnet Valley Railway for a ride on the same day you have a ride on a stairlift! Jako Crewe ma dużą polską poulation chcielibyśmy podkreślić, że na Zamku Stairlifts Comfort (nasza siedziba w Stoke i lokalne biuro regionalne w Macclesfield) jesteśmy gotowi służyć polskiej anyome społeczności. Jeden FIO ouir krzesełko inżynierów jest w rzeczywistości polskiej i może pomóc w tłumaczeniu, jeśli jest jakiś problem z komunikacją. Castle Comfort Stairlifts, Stoke on Trent & Macclesfield serving the Crewe area with Stairlifts and the Polish community is very welcome to contact us. Podziękowania. Kiedy moja teściowa ma mnie odwiedzić to mogę wynająć krzesełko? Powiedz mi proszę, czy to prawda? tak, są stairlifts czynsze dostępne i nigdy nie wiadomo. po dokonaniu odwiedzający tak welome i bezpieczne na schodach mogą zadecydować o zawieszeniu na wieki! YES! we do have rentals available for stairlfts in Crewe and you never know when you make your visitors so welcome and safe on the stairs they may decide to stay for ever! Nice of you to address the Polish population in Crewe. But my wife's mother is from Thailand and is thinking of getting a stairlift. She speaks and understands little English so a few words in Thai if possible would be appreciated. ´Our aim is to discuss with you initially your needs – and arrange either for a direct Castle Comfort installation – or to organise one (or more) quotes from, in our opinion the best sources. We work intensively in the stairlift industry and know which manufacturers have the best offers and what is the most suitable type of lift for you, within your budget. There are many factors involved – your location, the type of lift, new or reconditioned, platform, hinged, perch etc. There are also rental schemes available upon which we can advise you. You may even be entitled to a grant or funding from an unexpected source. We can support you through all of this in a jargon free and easy way, so that you end up with the right lift for you, at the right price. Please contact us any time you wish. Please can you phone me about my enquiry I made earlier about my mother.